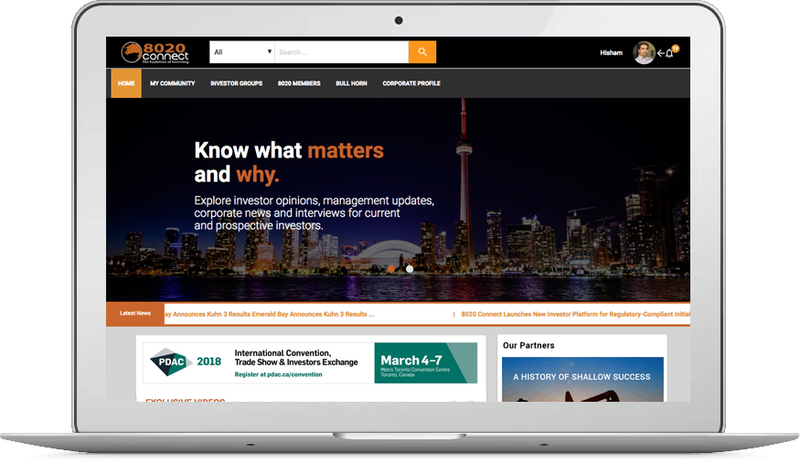 8020 Connect is the investment industry’s social media platform for the interactive sharing of knowledge and ideas between industry professionals, public companies and individual investors with the goal of increasing communication and participation in the Canadian investment industry. Proprietary social media investor platform that allows shareholder- centric corporations to increase shareholder confidence and social value through transparency, education and interactive communication. Issuers use 8020 to build market value and attract future capital from a community of shareholders, investors and financial professionals.